Dear friends, this ministry is a self supporting ministry and has been since we began over 10 years ago. 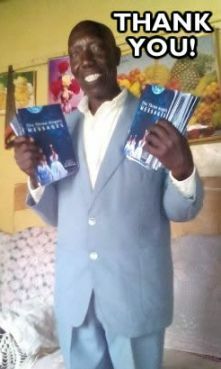 But we now also have a mission in Kenya where we have produced, printed and distributed thousands of 3 angels messages booklets and tracts around Kenya in both the English and Swahili languages during the past 3 years. 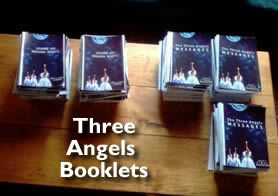 These booklets and tracts are reaching both the churched and unchurched people. We have also financed the building of a small sanitarium, which our brother in Kenya uses to help people with health problems, giving them the gospel message at the same time. 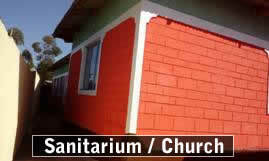 The building is also being used every Sabbath as a church for the local and surrounding communities. Currently, there are around 15-20 people attnending each Sabbath, with more people coming to this church to hear the truth of the three angels messages. For those who have followed the progress of this building, you can see from the latest picture on this page that we have come a long way. 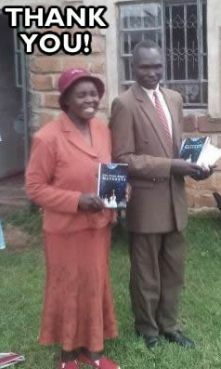 But there is still more to do to get the sanitarium/church fully completed and we also want to be able to increase the printing of the booklets and tracts so that Kenya will be covered with the truth of God's Word. UPDATE: I recently visited this mission myself to see the work being done, and I can assure you that the Lord's work is going forward through this mission! Praise God! 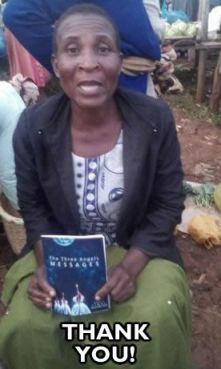 Please, if you are able, support us with this mission and help us spread the everlasting gospel throughout Kenya and reach many more people for God's kingdom. And let me assure you that every penny donated to this mission, goes direct to the mission. We are a self-supporting ministry and make no money from it whatsoever. Thank you and may God bless you.